Connection: John Law was born in Chatham Ontario. Note: Recorded in Nashville with producer Regie Hamm. 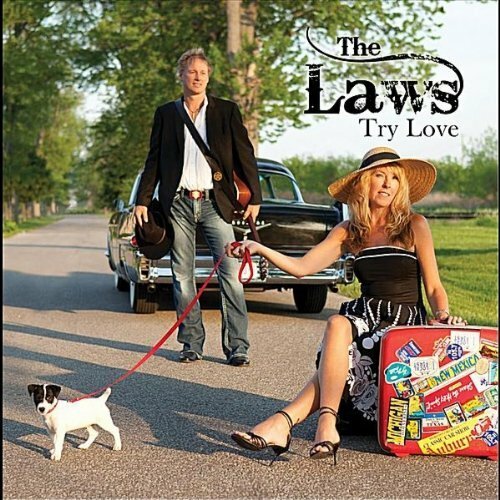 The Laws trademark “tight-as-a-glove” harmony singing is highlighted throughout the 11 songs. …..Cut to 2007, and John and Michele are not only husband and wife but are also partners in music, performing as The Laws and getting ready to make a strong move for greater recognition in the Americana ranks in this country behind a typically ambitious touring schedule (200-plus nights a year on the road) and a stirring new album for their own label, JML Music, titled Ride It Out. The duo’s fifth long player, Ride It Out is noticeably lacking any false notes in its compelling original songs, empathetic musicianship and emotionally charged vocal performances. Recorded in Nashville with producer/writer Regie Hamm, and co-written with some of Music City’s top tunesmiths, Ride It Out showcases all the Laws’ strengths. Stylistically its songs range far and wide within a roots framework. Smooth country folk powers the album opening “Am I Still the One”; “Put Some Love Into It” is a jazz -tinged frolic keyed by Michele’s saucy vocal; the guitar-mandolin instrumental “Texacadia” is a Nickel Creek-style display of assured, hot pickin’; the classic country-tinged “Too Lonesome to Cry” features lyrics as simple, direct and devastating as the Steve Earle of “Valentine’s Day” and “Hometown Blues”; and, to close things out, “Getting Over You” is a bopping little folk-flavored ditty that evinces an ironic, Steve Goodman-like sense of the absurd in its account of someone doing everything but getting over a lost love. Vocally, Michele ranges from a soothing, plaintive, Emmylou Harris-like harmony (“Am I Still the One”) to assertive, Martina McBride-style belting (“Getting Over You”), whereas John’s rich, nasally tenor bears some semblance to that of the estimable Texas craftsman and New Traditionalist pioneer Radney Foster. And despite the presence of a few other players on the album, Ride It Out has the intimate feel of a Laws stage show, where the only sounds come from the duo’s voices and instruments. John and Michele, who have become accustomed to living in their van (in fact, their personal possessions are in storage in Canada; they are, in essence, homeless), have made a commitment of sorts by putting down roots in Nashville, where they have rented an apartment and have signed a publishing deal with SWITR, Inc.
Not least of the Laws’ selling points is their acumen in the kitchen. They published a cookbook and have appeared on numerous cooking shows through the years, generating almost as much press for their culinary skills as for their music. They also offer shows that are part cooking workshop, part musical performance. This sprang from their determination to eat healthy while touring constantly. Video mix from TV and live footage. Visit them here, here and here. The Laws worked Canada tirelessly, coast to coast, heeding the advice of musician friends who told them, “Stay in Canada and really work on your stage performance,” as Michele recalls. At the same time, they were building a repertoire of original songs to comprise the bulk of their live set. For three years they worked Canada and Australia, then made their fateful 2003 trip to Texas. By that time they had a second album (Two) out, which was followed in 2005 by two more long players, Another Road, a studio effort, and a live album recorded in Crockett, Texas, Live @ The Camp St. Café. Click on the video below to hear samples from the CD. Note: Two is The Laws second CD and features more country-tinged writing – Two was one of Country Music News’ top 10 CDs of 2002. Visit them here or here. Note: The Laws first CD, Estimated Time of Revival is a stripped down acoustic collection of original songs. ETR was on the top rotation with the Galaxie satellite network and djs across the country. John then moved to Toronto to play the street and eventually put together a Crosby, Stills, Nash & Young cover band that toured throughout Canada for seven years. During that time he was also getting into American roots music through recordings by Doc Watson and Tony Rice, among others. When John and Michele got together they moved across Canada to British Columbia where John started playing guitar and mandolin with roots country songwriter, Joe Charron. On the side, for kicks, he and Michele and a couple of their musician friends put together a casual bluegrass ensemble known as One Track Mind and cut a homemade CD, Beyond the Kitchen Table. More to the point, he had taught Michele the fundamentals of the bass, and a plan began to take shape. 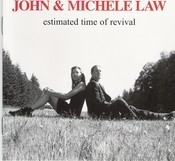 John and Michele continued to write and began performing as a duo throughout British Columbia. Their recording career began with their debut, Estimated Time of Revival, recorded at Randy Bachman’s studio, in 2000. 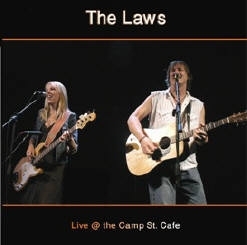 Husband and wife singer songwriters, The Laws, exploded onto the Canadian music scene in 2000 with the release of their first independent CD, Estimated Time of Revival, recorded at Randy Bachman’s Salt Spring Island, British Columbia studio. They were featured in major newspapers across the country (Calgary Herald, National Post, Ottawa Citizen) in support of their first cross-Canada tour. It was during this first ‘cross Canada tour that they were spotted by an Australia booking agent who booked them on the spot! They’ve since completed 3 highly successful tours in that country, including main stage at National, Tamworth, Port Fairy and Fairbridge Folk Festivals and appearances on Australia national television. 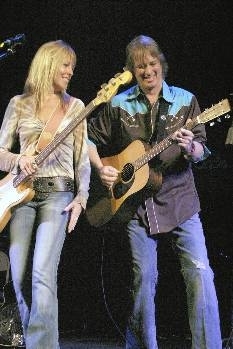 John and Michele were invited to play all of the prominent festivals in Canada (Edmonton, Winnipeg, StanFest) and toured extensively through their home country, including a 17-date Ontario theatre tour opening for Randy Bachman’s “Every Song Tells a Story” tour (supporting their 2nd CD, Two, also recorded at Randy’s studio). 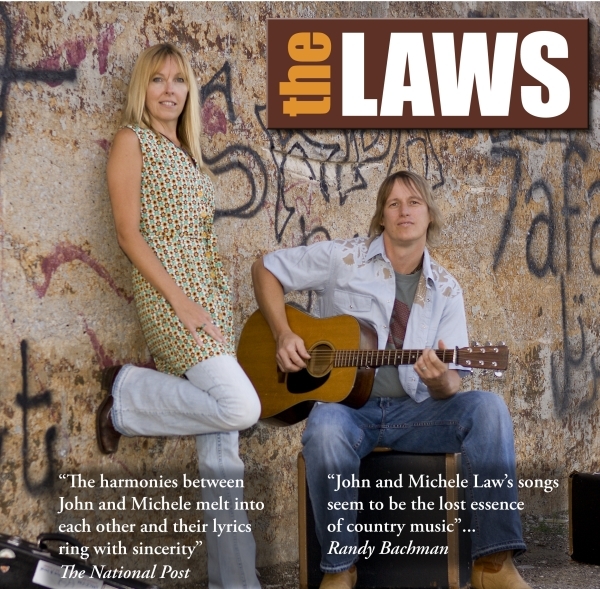 The Laws first foray into the United States in 2003 took them to the South West Folk Alliance Conference in Austin, TX, where they were immediately booked by every presenter in attendance! 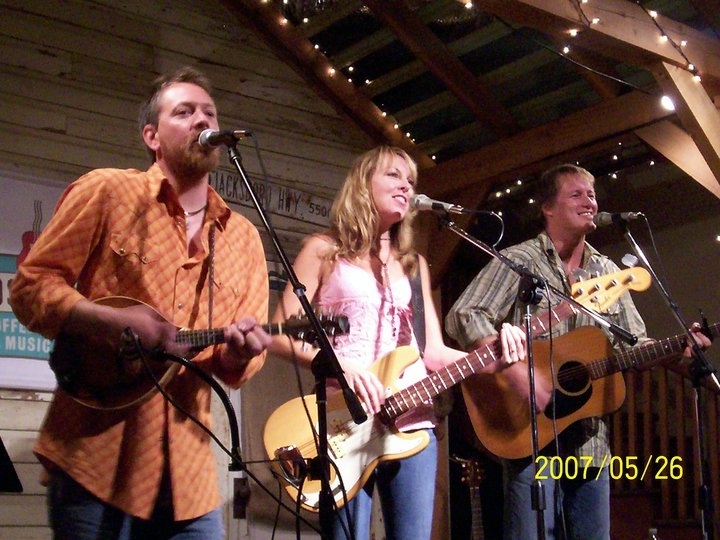 In Texas they went from opening act to headline attraction in 2 short years and were invited to perform main stage at Uncle Calvin’s Coffeehouse, the prestigious Kerrville Folk Festival 2004, 2005 and 2007 and Wild Flower Festival in Dallas in 2005 and 2007. John and Michele have received further recognition for their songwriting and are now writing for Nashville-based publishing company, SWITR, Inc. The owners of the company were so impressed by their songs that they signed them on the spot and have included them as “Rising Stars” in their new PBS series “Legends and Lyrics”, alongside such songwriting greats as Kris Kristofferson, John Hiatt, Patty Griffin and Jimmy Webb! 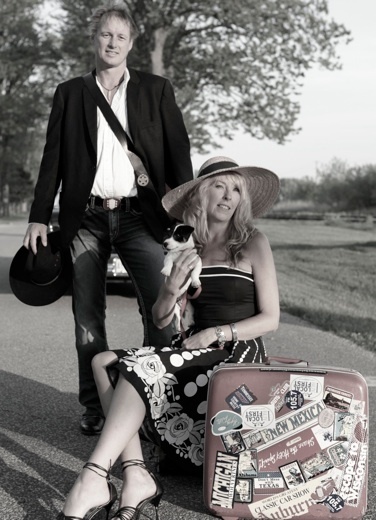 Great picking and harmony singing, beautifully crafted and presented lyrics, heartbreaking stories of love and loss, John & Michele’s songs cross the boundaries of country, folk, pop, bluegrass and blues and are at home performing at folk, country or bluegrass venues. Their CDs have been on high rotation throughout North America on folk and Americana stations and they’ve been in the top 10 on playlists around the world! While it can be tough to be a traveling musician, The Laws have found a recipe for success that keeps them healthy and happy. They do their own cooking when they’re on tour, and have developed their favorite recipes into a cookbook which has, in turn, led to bookings at major food and wine events, TV appearances and feature articles for their special mix of food and music.